When is a privacy breach a privacy breach? The biggest mistake in managing a privacy breach is not recognizing the privacy breach. The second biggest mistake is not knowing what to do about it. The recent publicity about the privacy breach in Alberta when a laptop with health information was stolen and came to the public's attention several months later is not the first news item of its kind. In fact, this happens frequently in healthcare, retail, government departments and other industries. This doesn't make it any easier to swallow and certainly doesn't make it right. But this is an opportunity for you, healthcare provider or practice manager, and vendor to make sure that you have good practices in place to manage your next privacy breach. Health information is recognized as being particularly sensitive and important to the person that the information is about. It is so important, in fact, that a new breed of legislation was developed to set out specific rules to ensure that the health information has robust safeguards (administrative, technical, and physical) to keep the health information confidential and secure. In Alberta, the Health Information Act (HIA) was proclaimed in 2001 to help custodians (people or organizations who collect, use, and disclose health information) ensure that they have identified the risks to breach of health information and how to prevent those risks. The legislation also ensures that the people who the health information is about have access to their personal health information. The HIA allows the custodian discretion whether or not to report a privacy breach to the Office of the Information and Privacy Commissioner (OIPC). Why would a custodian not want to report the privacy breach to the OIPC? Privacy breaches come in all types and sizes. One of the most common forms of a privacy breach is when a clinic or healthcare provider intends to send a report to another healthcare provider for continuing care and treatment. For example, a referral request about a patient from one physician to another physician about is sent to the wrong physician. Or, the referral request went to the correct physician but included extra information about another patient that was not part of the referral. This is a privacy breach. If the healthcare provider was required to report each privacy breach to the OIPC, the health care providers and the OIPC would soon be drowning in breach reports. Does this improve healthcare services? Or might it put a strain on the health care provider so that they would never admit to making an error? To each of us, our personal health information is important. As a healthcare industry, we need to ensure that we recognize this and acknowledge that each privacy breach is important to the person the information is about. We need to make sure that we minimize the risk of the information being used inappropriately or maliciously. We need to acknowledge to ourselves and to our patients and clients that we are human and that sometimes we do make mistakes and we will strive to do better. A ‘small' breach of one person one time might have a big impact. A ‘big' breach of a lost laptop might have a big impact. Each breach is important and needs to be recognized, contained (so it doesn't get any bigger) and corrected so it does not happen again. The person who's information has been breached needs to be made aware of the problem and the risk that might be experienced so that they can be prepare to limit the risks. The custodian needs to know how to manage the privacy breach and report it – internally and perhaps to other stakeholders – so that we can learn from the breach and minimize the danger that might be experienced because of the breach. Recognize a privacy breach when it happens. Learn what to do if you have a privacy breach. Dealing with a privacy breach in your clinic can be stressful and confusing. What should you do? Who should you contact? In this webinar, learn the 3 common mistakes made when managing a privacy breach. Learn from someone else's mistakes! A laptop with the unencrypted personal health information of 620, 000 Albertans was stolen in September of 2013. The laptop, belonging to an information technology consultant for Medicentres, was stolen on September 26th, and contained the names, dates of birth, provincial health card numbers, billing codes and diagnostic codes of individuals seen at Medicentres between May 2, 2011 and September 10, 2013. The process of notifying the public was delayed because Medicentres was trying to figure out how to best do it, chief medical officer Dr. Arif Bhimji said. Questions are now being asked as to why the consultant had access to so much information, and why the laptop's data was not encrypted. Privacy Commissioner Jill Clayton is launching an investigation into the event, and the probe will also be taking a wider look of how privacy breaches are reported in Alberta. For more information about this privacy breach, visit CBC.ca. Are you concerned about what your organization would do in the event of a privacy breach? Would you know how to handle it? Visit our Training Calendar for more information about an upcoming webinar! A Calgary pharmacist has been cited for using the health information of a patient in an attempt to establish a personal relationship with her. The woman complained to the Information and Privacy Commissioner, alleging that the relief pharmacist employed at a pharmacy in Calgary, had contacted her twice by phone and attempted to “friend” her on Facebook. The Health Information Act (HIA) prohibits employees from using health information for purposes not required to do their job. The investigation by the Privacy Commissioner found that the pharmacist misused health information, and that the pharmacy manager had failed to provide privacy and security training to the pharmacist. The pharmacy had access to privacy policies and training but the pharmacist in question was not made aware of these policies by the pharmacist manager. The investigation concluded by reinforcing the need for following through on administrative and technical safeguards and training for all staff. 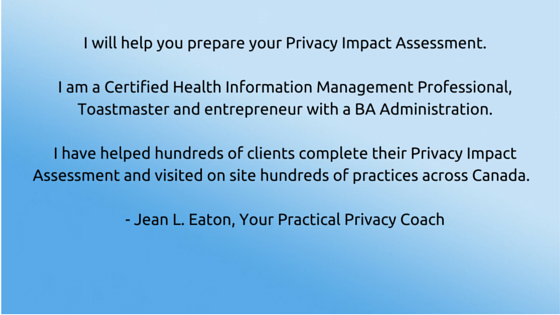 Do you provide privacy training for all of your staff – including professional healthcare service providers? How do you document that each staff has received the training? How often do you re-fresh or update the training? A privacy management program is an important part of your responsibility as a healthcare provider, practice management and business owner. See our training programs for additional resources you can use right away. We are an information management company based in Edmonton, Alberta. We specialize in health information management, records management, practice efficiency and workflow consultation as well as privacy and security in the Health Care sector. 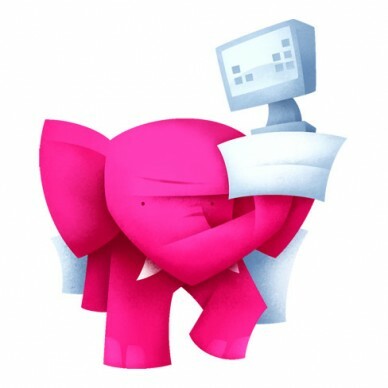 We take care of the elephant in the room. An Australian medical center is facing the possibility that its patients’ electronic medical records may be locked away forever after hackers broke into its computer system in December and encrypted the files. The hackers captured a medical centre's data and demanded A$4000 to decrypt the information. While this incident is rare it is a good lesson to ensure that you take control of your data. Ensure that it is secure. Ensure that your data is securely backed up and is segregated from your computer servers. Your must be proactive and monitor your computer network. This may be an appropriate task to outsource to a reputable vendor. Are your plans comprehensive? Is it time for you to schedule your Privacy Practice Review? See the Technology for Doctors Online story from January 17, 2013, for more information.